Italian weddings are famous for not letting their guests go hungry. Many wedding caterers, or catering matrimonio in Italian, can present a delicious authentic menu to satisfy any appetite at your wedding. 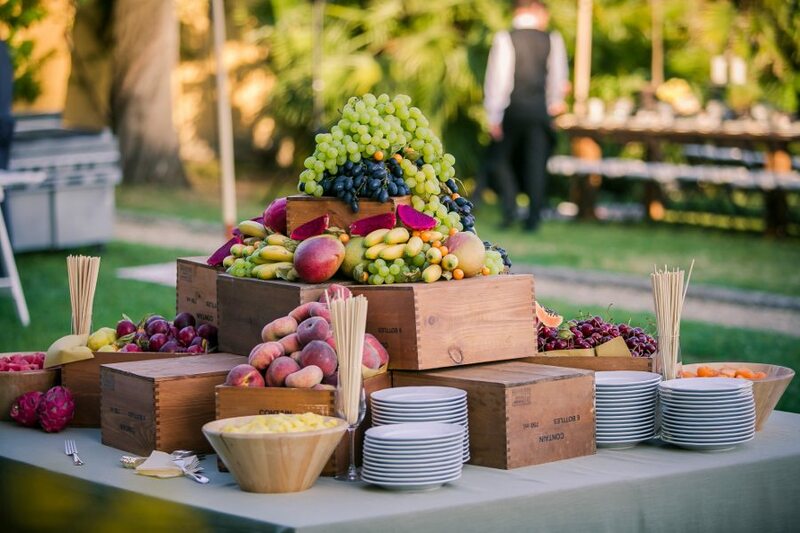 Choosing food to appear on your special day is still ultimately your decision but special arrangements may need to be made if you have specific requirements, as all Italian wedding caterers source their products locally to that area. But if it’s a truly traditional menu you are looking for to complete your wedding day, here’s a basic rundown of the elements included in a traditional Italian wedding reception. After witnessing the main event for the day, your guests are welcomed to your chosen wedding reception venue with a glass of prosecco or an adequate alternative. Italian weddings are known for being social and interactive so this initial phase of the wedding reception sets the scene for the remainder of the event. In addition to a chilled glass of something fizzy, guests are also invited to pick from a delicious buffet of aperitifs. Comprising of a variety of cold meats, cheese, freshly baked bread and fried vegetable guests will be able to eat enough food to be comfortable ready for the main meal still to come. During the sit-down meal at an Italian wedding, a starter isn’t usually served. Instead, there are a couple of first courses. These first tastes of the sit-down meal consist of various pasta choices, risotto or even ravioli. After the first course, the main meal arrives along with some side dishes. A not expected but essential addition to the sit-down meal is the option for a second serving of either the first or main meal. It isn’t an unwritten rule to have this option at your Italian wedding but it is a very common service to have to present to your seated guests. As we mentioned before, Italian weddings are highly social so it’s best not to keep your guests seated for too long. After the main meal has been cleared away the guests will be free to mingle, dance and enjoy the rest of their night. Desserts are usually served as a buffet throughout the remainder of the wedding reception so guests can eat as they wish throughout the night and still socialize with the other guests in attendance.